Mr. Bubble makes getting clean almost as much fun as getting dirty! A hypo-allergenic formula with a fun, original fragrance. Mr. Bubble makes getting clean almost as much fun as getting dirty! A hypo-allergenic formula with a fun, original fragrance. Mr. 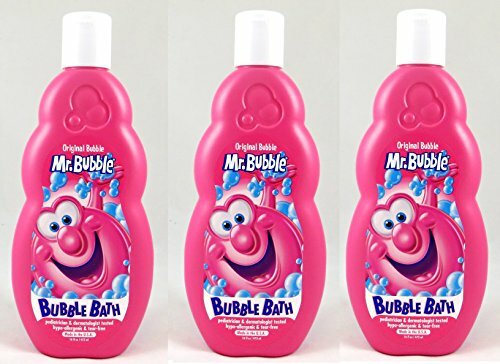 Bubble makes bath time fun with tons of bubbles. Made in the USA. Not tested on animals and does not use animal-derived ingredients. If you have any questions about this product by Mr. Bubble, contact us by completing and submitting the form below. If you are looking for a specif part number, please include it with your message.